Sand River is among 161 cohousing communities in the United States (with nearly 100 more being formed). Cohousing is perhaps the most ambitious of the many grassroots models being created to allow people to age in a close circle of friends and neighbors, as I explore in my book With a Little Help from Our Friends—Creating Community as We Grow Older. Unlike many alternative models, cohousing is an intentional community, built from the ground up. Each household is separate, so that members maintain privacy and boundaries. At the same time, the architectural plan encourages neighborliness. A large common house accommodates frequent community dinners and other gatherings and often includes guest quarters, an art studio, library—whatever the community wants (and can afford). Most cohousing communities are legally operated as condominiums. Sand River is one of a handful of cohousing communities that were created for people over 55. The community, originally called ElderGrace, decided to change its name after running into negative perceptions of “elder.” “We have some men in our community who didn’t want to tell anybody where they lived–they felt it created an image of gray-haired people walking around with walkers,” says Marty, an early resident. “People asked if it was assisted living.” When she ran into someone wondering if there were still two units in “ElderCare,” Marty agreed a name change was in order. Like many cohousing communities, Sand River takes pride in being green. Members collect rainwater, landscape with native plants, heat efficiently, and garden organically. Unlike most cohousing communities, which can be costly, Sand River offers many members a financially-sustainable lifestyle. The community was developed by the Santa Fe Community Housing Trust, a nonprofit which supports affordable housing, in collaboration with the founding members. When Sand River opened in 2009, homes ranged from $180,000 to $228,000, with one third of the 28 units designated as affordable, with mortgages under $100,000. (The balance is held as a “soft second mortgage” by nonprofit agencies and is repaid when the unit is sold.) Home prices have risen a modest amount since then. She became involved with the planning group in 2005. “We worked with the architect to design the houses,” she says. “It was a wonderful creative process. We were able to create a village concept that was really important to us.” For example, cars are kept on the perimeter of the property with walkways connecting the homes to the common house, in the heart of the community. There, members come for tai chi, for discussions on healthy living or end-of-life concerns, book clubs, and art exploration. In 2010, Sand River was given an AARP Livable Communities Award. Willow is a veteran of community living. She earlier lived in cooperative housing and then in a land trust community in Missouri, in which members each purchased five to ten acres of land as a way to preserve a forest threatened by clear-cutting. For many people, the most challenging part of cohousing would be its consensus form of decision making. “Majority rules” does not apply. Instead, members discuss significant decisions until agreement is reached. In that way, proponents say, consensus is more democratic than voting because it honors and respects each voice. But the process takes time and patience. Sandy says she invites the couple and their caregiver over for tea now and then. She agrees that how to help each other over the long term is an ongoing question. The community is “still in the process of discovery,” she says. It helps that the community has a good age range—from late 50s to mid-80s. Maintaining that balance will be important as they move forward, says Willow, as the oldest members will likely need more help with errands or chores. 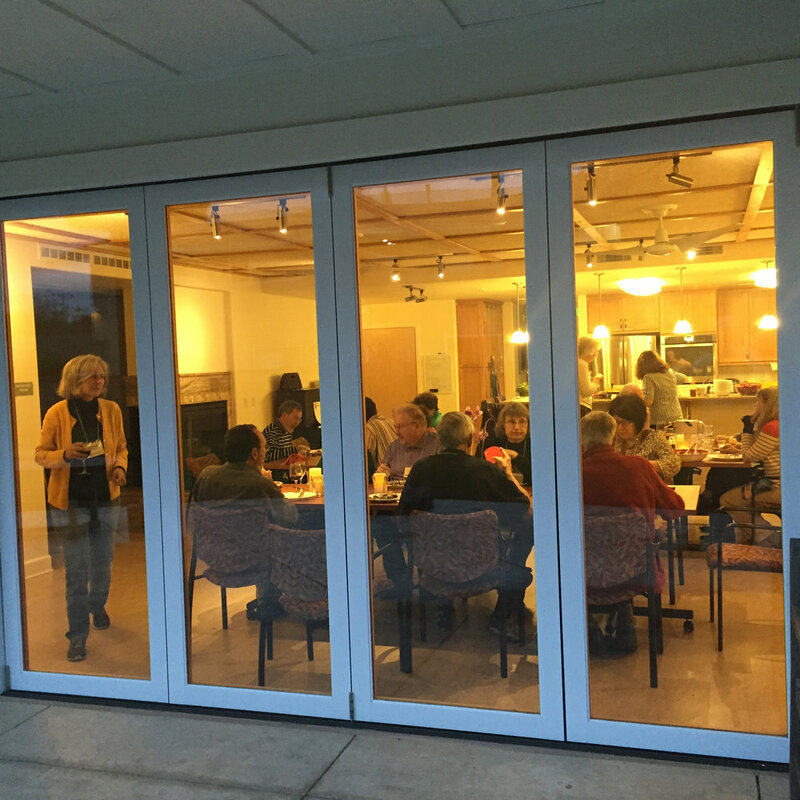 Nationally, cohousing communities are wrestling with how to support members who may grow frail or who experience cognitive loss. One idea is to use the guest quarters in the common house or spare bedrooms in members’ homes for paid caregivers. “The cohousing communities are very rich in resources of that type,” Oz Ragland, a national leader in cohousing and shared housing, told me. Another idea, not yet tried, is to develop a Green House-type cottage or other assisted living home onsite.